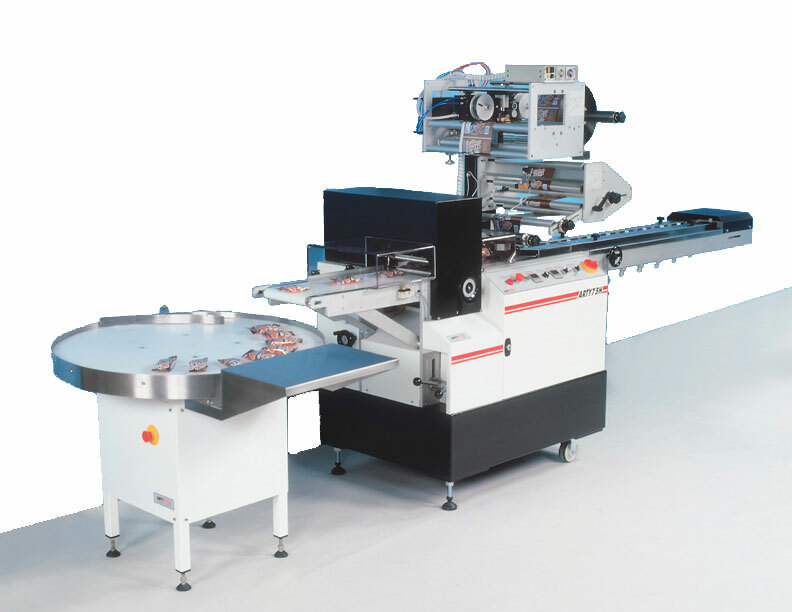 With the Quad jaw option the ARTY75H becomes a very efficient Candy packaging system. 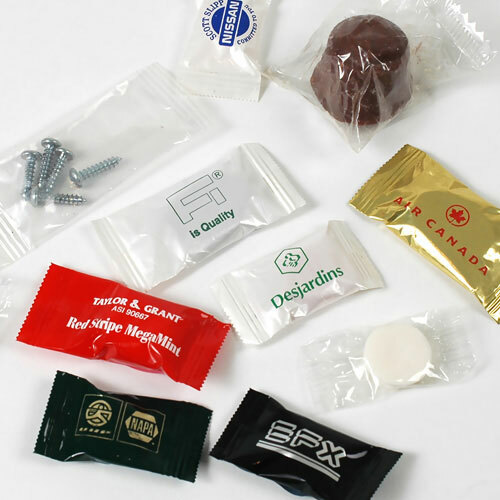 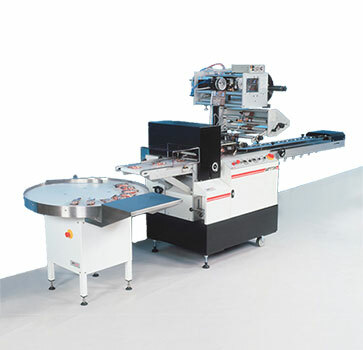 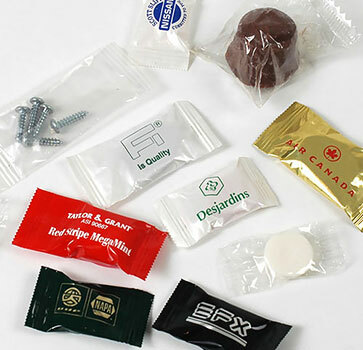 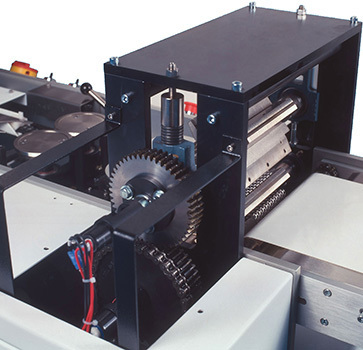 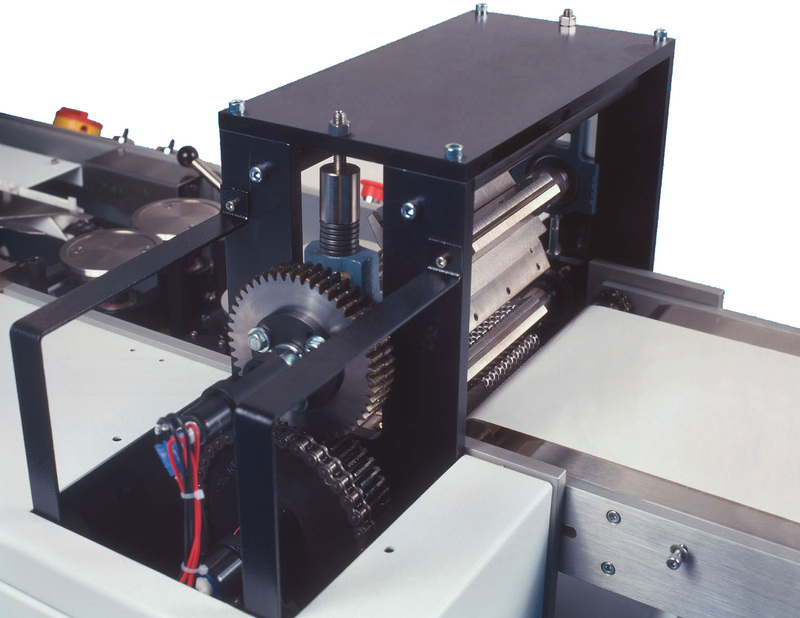 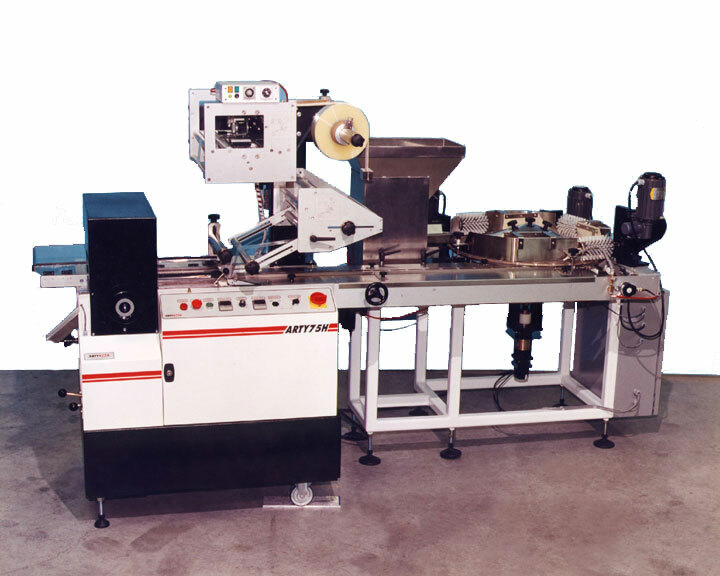 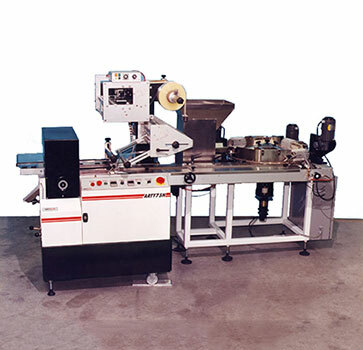 Up to 360 candies individualy wraped per minute in plain or printed film with the photocell option. 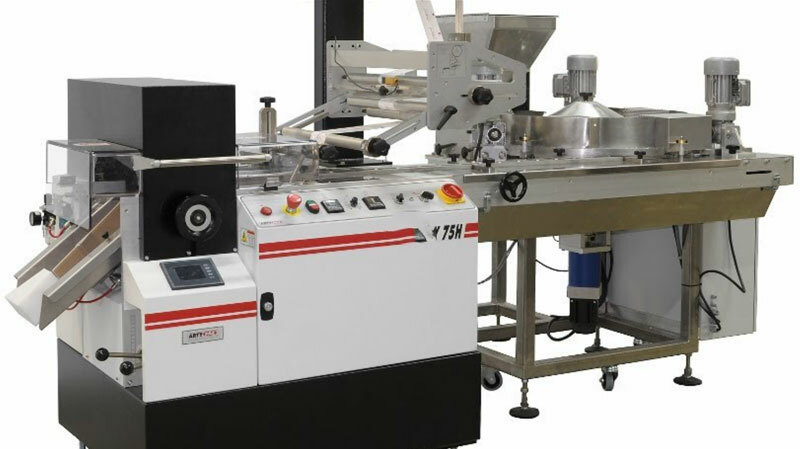 Ask us about custom feeding options!